Woo hoo! It’s art time again! Not mine, because no one needs to be subjected to that, but the art of one who knows his stuff. And by stuff, I mean the things that live in the shadows, the monster under your bed. Greg Chapman is one of those artists who likes to play in the darkness where monsters live. 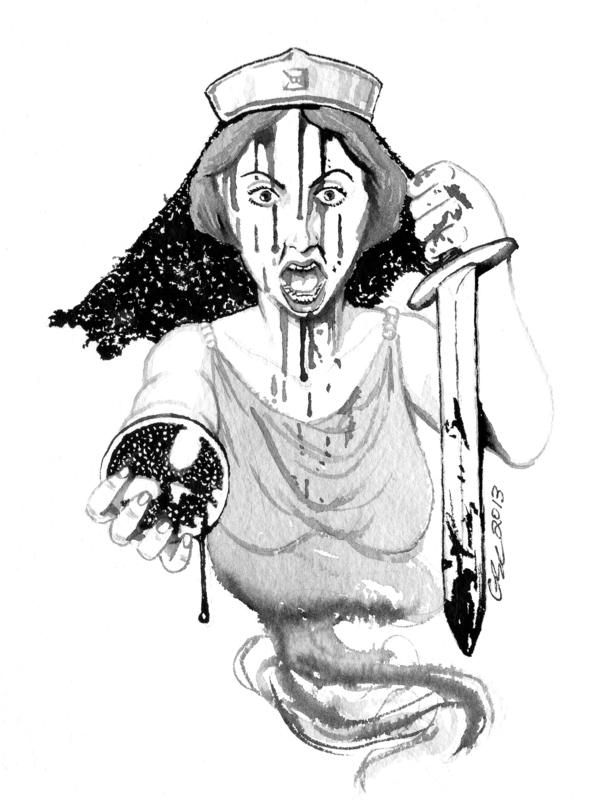 I first came across Greg’s work a few years back when he illustrated a comic – Allure of the Ancients (Midnight Echo) – written by a friend of mine, Mark Farrugia. I’d seen the comic in its short-story form, but it was one of those tales I knew would transfer mediums beautifully. The success of such an undertaking falls on the artist, and the writer choosing the right artist for their work. Mark chose right. Allure of the Ancients is the story of Rahkh, a vampire (not one of those sparkly pieces of crap) who has been around since biblical times, and follows his journey through the ages. It’s a fantastic story, and Greg brought Rahkh to life in spectacular fashion, so much so one of his prints sits on my wall (above one of my bookcases, no less – high praise indeed!). Rahkh is a powerful, blood-thirsty vampire who goes through people like I do chocolate – ravenous and not at all apologetic. Just as a vampire should be. 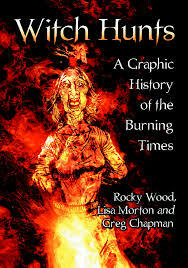 Greg illustrated the highly-acclaimed, Bram-Stoker winning graphic novel, Witch Hunts: A Graphic History of the Burning Times, by Lisa Morton and Rocky Wood. The man knows his stuff, but it’s unfortunate that while the writers of the graphic novel received Stoker awards, Greg did not. Which shows me how underrated illustrators are in a medium that relies so damn heavily on art. Like writers, illustrators aren’t paid anywhere near enough for what they do. It’s been that way through the ages, but that doesn’t make it right. Go into any home and you’ll see artwork on the walls, sure, mine’s a little darker in nature, but barren walls don’t a home make. And I’ve Greg to thank for adding some colour and personality to my walls. 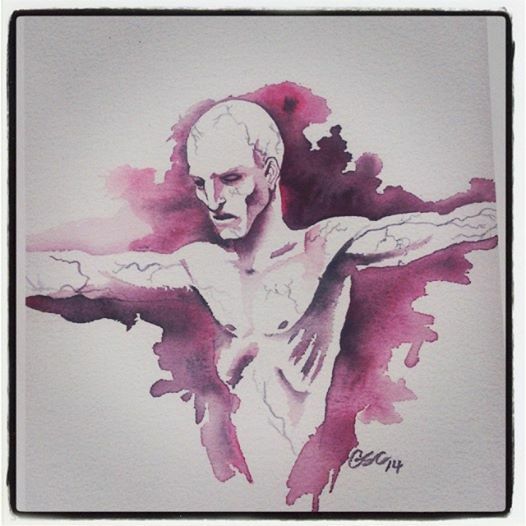 I’ve also had a piece of Greg’s art accompany my short story ‘The Road’ in Midnight Echo #9. It’s a small piece of inner art, but it’s beautiful, matched perfectly, and gave the story that little extra to show the power of the words. Words Greg understands very well. You see, Greg’s not only an illustrator, he writes as well. He currently has his debut story collection out: Vaudeville and Other Nightmares (Black Beacon Books), which is another book I need to add to my ‘to read’ pile (which grows ever mountainous). The cover art is all Greg’s, so not only do you get a tonne of great stories, you get awesome art as well. Greg’s artwork is available for purchase here (he does tees and hoodies as well), and I’m sure you’ll fall in love with some art that will look amazing on your wall. Go on, bring the nightmares home. I dare you. Thanks so much for the profile AJ!